LSI, MASS NOTIFICATION, VM SERVER, UTILIZING CUSTOMER VM, MIN OF 2.4G CPU, 6 CPU, 4GIG RAM, 120G DISK, 1 LAN CONNECTION (SERVER PLATFORM REQUIRED) Barcoding Store, powered by Strategic Mobiltiy Group, LLC (SMG3) offers globally recognized products and industry-leading solutions to enhance your organnization's productivity. Combining optimal search functionality and industry-leading products from Zebra, Honeywell, AML, etc., Barcoding Store creates a superior shopping experience unlike any other withing our industry. HONEYWELL, SPARE PART, BATTERY COVER MF4TE Barcoding Store, powered by Strategic Mobiltiy Group, LLC (SMG3) offers globally recognized products and industry-leading solutions to enhance your organnization's productivity. Combining optimal search functionality and industry-leading products from Zebra, Honeywell, AML, etc., Barcoding Store creates a superior shopping experience unlike any other withing our industry. AVERY DENNISON, 50.9M LONG AND 4" WIDE WAX RIBBON FOR USE IN THE 9493 SIERRA SPORT PRINTER, PACK OF TEN Barcoding Store, powered by Strategic Mobiltiy Group, LLC (SMG3) offers globally recognized products and industry-leading solutions to enhance your organnization's productivity. Combining optimal search functionality and industry-leading products from Zebra, Honeywell, AML, etc., Barcoding Store creates a superior shopping experience unlike any other withing our industry. SYSTEM, FCL, IEEE 1284,PARALLEL CABLE,6' PCC-SM10006,DB25M-36CENT Barcoding Store, powered by Strategic Mobiltiy Group, LLC (SMG3) offers globally recognized products and industry-leading solutions to enhance your organnization's productivity. Combining optimal search functionality and industry-leading products from Zebra, Honeywell, AML, etc., Barcoding Store creates a superior shopping experience unlike any other withing our industry. SYSTEM, IEEE PARALLEL CABLE, 10', DB25M-CENT36M, PCC-PR14010 Barcoding Store, powered by Strategic Mobiltiy Group, LLC (SMG3) offers globally recognized products and industry-leading solutions to enhance your organnization's productivity. Combining optimal search functionality and industry-leading products from Zebra, Honeywell, AML, etc., Barcoding Store creates a superior shopping experience unlike any other withing our industry. SATO, SPARE PARTS, RIBBON PLATE FOR CL608E Barcoding Store, powered by Strategic Mobiltiy Group, LLC (SMG3) offers globally recognized products and industry-leading solutions to enhance your organnization's productivity. Combining optimal search functionality and industry-leading products from Zebra, Honeywell, AML, etc., Barcoding Store creates a superior shopping experience unlike any other withing our industry. Epson Label - 3.0" x 1" Black paper label for the TM-L90. SATO, SPARE PARTS, SIDE FRAME(RH)SET Barcoding Store, powered by Strategic Mobiltiy Group, LLC (SMG3) offers globally recognized products and industry-leading solutions to enhance your organnization's productivity. Combining optimal search functionality and industry-leading products from Zebra, Honeywell, AML, etc., Barcoding Store creates a superior shopping experience unlike any other withing our industry. SATO, SPARE PARTS, CONT KEY TOP(SILK) Barcoding Store, powered by Strategic Mobiltiy Group, LLC (SMG3) offers globally recognized products and industry-leading solutions to enhance your organnization's productivity. Combining optimal search functionality and industry-leading products from Zebra, Honeywell, AML, etc., Barcoding Store creates a superior shopping experience unlike any other withing our industry. BROTHER MOBILE, TRUSTSENSE SLIDE LABEL, SYNTHETIC, 7/8" X 7/8", PERMANENT ADHESIVE, WHITE, 500 LABELS/ROLL, 1 ROLL/CARTON Barcoding Store, powered by Strategic Mobiltiy Group, LLC (SMG3) offers globally recognized products and industry-leading solutions to enhance your organnization's productivity. Combining optimal search functionality and industry-leading products from Zebra, Honeywell, AML, etc., Barcoding Store creates a superior shopping experience unlike any other withing our industry. SCREENTEC, 12.5" NOTEBOOK PRIVACY FILTER (16:9 ASPECT RATIO) Barcoding Store, powered by Strategic Mobiltiy Group, LLC (SMG3) offers globally recognized products and industry-leading solutions to enhance your organnization's productivity. Combining optimal search functionality and industry-leading products from Zebra, Honeywell, AML, etc., Barcoding Store creates a superior shopping experience unlike any other withing our industry. UNITECH, ACCESSORY, CHARGER HOLDER FOR EA300 Barcoding Store, powered by Strategic Mobiltiy Group, LLC (SMG3) offers globally recognized products and industry-leading solutions to enhance your organnization's productivity. Combining optimal search functionality and industry-leading products from Zebra, Honeywell, AML, etc., Barcoding Store creates a superior shopping experience unlike any other withing our industry. ZEBRACARD, IX SERIES HIGH CAPACITY MONOCHROME RIBBON FOR ENHANCED ZXP SERIES 3, BLACK, 2000 IMAGES PER ROLL Barcoding Store, powered by Strategic Mobiltiy Group, LLC (SMG3) offers globally recognized products and industry-leading solutions to enhance your organnization's productivity. Combining optimal search functionality and industry-leading products from Zebra, Honeywell, AML, etc., Barcoding Store creates a superior shopping experience unlike any other withing our industry. ZEBRA AIT, PART, KIT,2824 PLUS HEAD UP SENSOR Barcoding Store, powered by Strategic Mobiltiy Group, LLC (SMG3) offers globally recognized products and industry-leading solutions to enhance your organnization's productivity. Combining optimal search functionality and industry-leading products from Zebra, Honeywell, AML, etc., Barcoding Store creates a superior shopping experience unlike any other withing our industry. SATO, SPARE PARTS, HEAD BASE PLATE SET Barcoding Store, powered by Strategic Mobiltiy Group, LLC (SMG3) offers globally recognized products and industry-leading solutions to enhance your organnization's productivity. Combining optimal search functionality and industry-leading products from Zebra, Honeywell, AML, etc., Barcoding Store creates a superior shopping experience unlike any other withing our industry. SATO, SPARE PARTS, S84-86-HEAD CABLE2 SET-LF Barcoding Store, powered by Strategic Mobiltiy Group, LLC (SMG3) offers globally recognized products and industry-leading solutions to enhance your organnization's productivity. Combining optimal search functionality and industry-leading products from Zebra, Honeywell, AML, etc., Barcoding Store creates a superior shopping experience unlike any other withing our industry. BSP, THERMAL PAPER, 1-3/4" X 220', NON CANCELLABLE, NON RETURNABLE Barcoding Store, powered by Strategic Mobiltiy Group, LLC (SMG3) offers globally recognized products and industry-leading solutions to enhance your organnization's productivity. Combining optimal search functionality and industry-leading products from Zebra, Honeywell, AML, etc., Barcoding Store creates a superior shopping experience unlike any other withing our industry. SATO, SPARE PARTS, RIBBON ROLLER S/A Barcoding Store, powered by Strategic Mobiltiy Group, LLC (SMG3) offers globally recognized products and industry-leading solutions to enhance your organnization's productivity. Combining optimal search functionality and industry-leading products from Zebra, Honeywell, AML, etc., Barcoding Store creates a superior shopping experience unlike any other withing our industry. ZEBRACARD, SPARE PART, ZXP7, KIT, COVER TOP P100I Barcoding Store, powered by Strategic Mobiltiy Group, LLC (SMG3) offers globally recognized products and industry-leading solutions to enhance your organnization's productivity. Combining optimal search functionality and industry-leading products from Zebra, Honeywell, AML, etc., Barcoding Store creates a superior shopping experience unlike any other withing our industry. ZEBRA EVM, PS20 POWERPRECISION+ SPARE LITHIUM ION BATTERY, 3500 MAH, SINGLE Barcoding Store, powered by Strategic Mobiltiy Group, LLC (SMG3) offers globally recognized products and industry-leading solutions to enhance your organnization's productivity. Combining optimal search functionality and industry-leading products from Zebra, Honeywell, AML, etc., Barcoding Store creates a superior shopping experience unlike any other withing our industry. BROTHER MOBILE, TRUSTSENSE MULTIPURPOSE LABEL, 2" X 1", PERMANENT ADHESIVE, WHITE, 1,000 LABELS/ROLL, 8 ROLLS/CARTON Barcoding Store, powered by Strategic Mobiltiy Group, LLC (SMG3) offers globally recognized products and industry-leading solutions to enhance your organnization's productivity. Combining optimal search functionality and industry-leading products from Zebra, Honeywell, AML, etc., Barcoding Store creates a superior shopping experience unlike any other withing our industry. BROTHER MOBILE, TRUSTSENSE COMPANION LABEL, 1" X 2-5/8", PERMANENT ADHESIVE, WHITE, 500 LABELS/ROLL, 8 ROLLS/CARTON Barcoding Store, powered by Strategic Mobiltiy Group, LLC (SMG3) offers globally recognized products and industry-leading solutions to enhance your organnization's productivity. Combining optimal search functionality and industry-leading products from Zebra, Honeywell, AML, etc., Barcoding Store creates a superior shopping experience unlike any other withing our industry. BROTHER MOBILE, TRUSTSENSE COMPANION LABEL, 1-3/32" X 3-1/2", PERMANENT ADHESIVE, WHITE, 500 LABELS/ROLL, 8 ROLLS/CARTON Barcoding Store, powered by Strategic Mobiltiy Group, LLC (SMG3) offers globally recognized products and industry-leading solutions to enhance your organnization's productivity. Combining optimal search functionality and industry-leading products from Zebra, Honeywell, AML, etc., Barcoding Store creates a superior shopping experience unlike any other withing our industry. 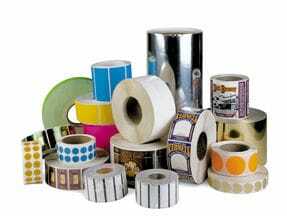 BROTHER MOBILE, TRUSTSENSE ALIQUOT LABEL, 2" X 1-15/16", PERMANENT ADHESIVE, WHITE, 500 LABELS/ROLL, 8 ROLLS/CARTON Barcoding Store, powered by Strategic Mobiltiy Group, LLC (SMG3) offers globally recognized products and industry-leading solutions to enhance your organnization's productivity. Combining optimal search functionality and industry-leading products from Zebra, Honeywell, AML, etc., Barcoding Store creates a superior shopping experience unlike any other withing our industry. BROTHER MOBILE, TRUSTSENSE ADULT WRISTBAND, 11-1/2" X 1-1/8", ADHESIVE CLOSURE, WHITE, 200 WRISTBANDS/ROLL, 2 ROLLS/CARTON Barcoding Store, powered by Strategic Mobiltiy Group, LLC (SMG3) offers globally recognized products and industry-leading solutions to enhance your organnization's productivity. Combining optimal search functionality and industry-leading products from Zebra, Honeywell, AML, etc., Barcoding Store creates a superior shopping experience unlike any other withing our industry. BROTHER MOBILE, TRUSTSENSE ADULT/PEDIATRIC WRISTBAND, 11-1/2" X 3/4", ADHESIVE CLOSURE, WHITE, 200 WRISTBANDS/ROLL, 2 ROLLS/CARTON Barcoding Store, powered by Strategic Mobiltiy Group, LLC (SMG3) offers globally recognized products and industry-leading solutions to enhance your organnization's productivity. Combining optimal search functionality and industry-leading products from Zebra, Honeywell, AML, etc., Barcoding Store creates a superior shopping experience unlike any other withing our industry. BROTHER MOBILE, TRUSTSENSE INFANT WRISTBAND, 8" X 1-1/8", ADHESIVE CLOSURE, WHITE, 200 WRISTBANDS/ROLL, 2 ROLLS/CARTON Barcoding Store, powered by Strategic Mobiltiy Group, LLC (SMG3) offers globally recognized products and industry-leading solutions to enhance your organnization's productivity. Combining optimal search functionality and industry-leading products from Zebra, Honeywell, AML, etc., Barcoding Store creates a superior shopping experience unlike any other withing our industry. BROTHER MOBILE, TRUSTSENSE ADULT/INFANT PAIRING WRISTBAND, 10-1/2" X 1", ADHESIVE CLOSURE, WHITE, 120 WRISTBAND SETS/ROLL, 2 ROLLS/CARTON Barcoding Store, powered by Strategic Mobiltiy Group, LLC (SMG3) offers globally recognized products and industry-leading solutions to enhance your organnization's productivity. Combining optimal search functionality and industry-leading products from Zebra, Honeywell, AML, etc., Barcoding Store creates a superior shopping experience unlike any other withing our industry. BROTHER MOBILE, TRUSTSENSE POINT OF CARE LABEL, 2" X 1-1/4", PERMANENT ADHESIVE, WHITE, 1,000 LABELS/ROLL, 8 ROLLS/CARTON Barcoding Store, powered by Strategic Mobiltiy Group, LLC (SMG3) offers globally recognized products and industry-leading solutions to enhance your organnization's productivity. Combining optimal search functionality and industry-leading products from Zebra, Honeywell, AML, etc., Barcoding Store creates a superior shopping experience unlike any other withing our industry. ZEBRACARD, IX SERIES HIGH CAPACITY COLOR RIBBON FOR ENHANCED ZXP SERIES 3, 1/2 PANEL YMCKO, 400 IMAGES PER ROLL Barcoding Store, powered by Strategic Mobiltiy Group, LLC (SMG3) offers globally recognized products and industry-leading solutions to enhance your organnization's productivity. Combining optimal search functionality and industry-leading products from Zebra, Honeywell, AML, etc., Barcoding Store creates a superior shopping experience unlike any other withing our industry. IVANTI, GEN TN CLIENT FOR 2 IN 1 LI -UPG Barcoding Store, powered by Strategic Mobiltiy Group, LLC (SMG3) offers globally recognized products and industry-leading solutions to enhance your organnization's productivity. Combining optimal search functionality and industry-leading products from Zebra, Honeywell, AML, etc., Barcoding Store creates a superior shopping experience unlike any other withing our industry. ZEBRACARD, CONSUMABLES, KRO TRUE COLOURS I SERIES BLACK 2 PANEL RIBBON, WITH 1 CLEANING ROLLER, P3XX, P4XX, P5XX COMPATIBLE, 500 IMAGES PER ROLL, PRICED PER ROLL Barcoding Store, powered by Strategic Mobiltiy Group, LLC (SMG3) offers globally recognized products and industry-leading solutions to enhance your organnization's productivity. Combining optimal search functionality and industry-leading products from Zebra, Honeywell, AML, etc., Barcoding Store creates a superior shopping experience unlike any other withing our industry. ZEBRACARD, CONSUMABLES, RBN,YMCKOO,ZXP3,230 IMAGES Barcoding Store, powered by Strategic Mobiltiy Group, LLC (SMG3) offers globally recognized products and industry-leading solutions to enhance your organnization's productivity. Combining optimal search functionality and industry-leading products from Zebra, Honeywell, AML, etc., Barcoding Store creates a superior shopping experience unlike any other withing our industry.